Bodegas Robles, supporters of a return to real wine. 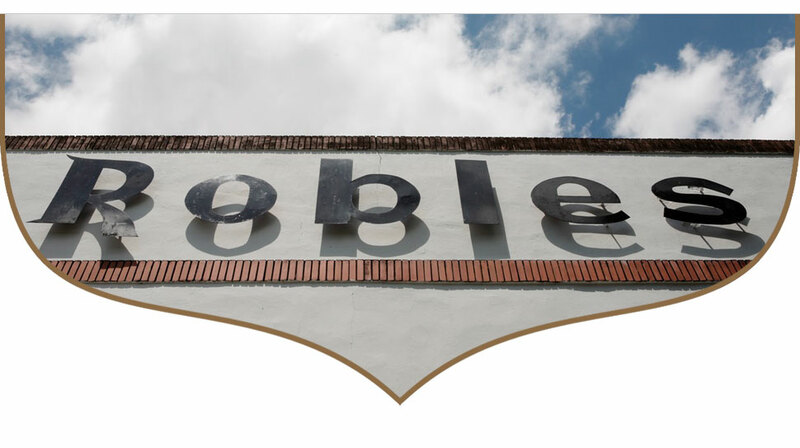 The Robles family has been dedicated to wine making in Montilla (Southern Spain) since 1927. In the late 1990s, the third generation takes over the winery and understands the need to incorporate organic viticulture and work with indigenous yeasts into the tradition of the winery. Our approach is quite straightforward: grow the most intense and flavorful organic grapes that you can, guide the natural process and draw all the fruit’s richness into the wine. With the experience acquired over three generations, we have learned an important lesson: the more we care for land, the better our wine. Ministry of Agriculture, Food and the Environment. At first glance, Bodegas Robles’ vineyards have the air of a wildly romantic garden, overrun by a layer of lavender, poppies, clover and wildflowers, buzzing with bees and other insects. However, like those meticulously planned gardens, there is nothing accidental about our vineyard. It is the result of years of research and it involves selecting a wide variety of native, short-rooted plants that serve to trap nitrogen in the soil around the vines. We keep an ongoing dialogue and exchange of knowledge between the winery, the University and several national and international research centers. We have several long-term tracking studies underway and we have completed projects on the impacts of environmental factors and cultural practices and their contributions to wine quality. In the winery, the elaboration team led by the oenologist Rocío Márquez and the winery foreman Vicente Martínez Robles, pay special attention to the use of indigenous yeasts and physical processing of the wine. In this fashion, the fermentation of our wines is elaborated with indigenous yeasts which are present in the soil of the vineyard and reaches the winery attached to the skin of the grape. That is why the ecological care of our vineyard is so important: the yeasts are primarily responsible for the wine to express what it is, transforming the sugars in the grape must into alcohol. When one speaks about wines which manage to express an identity, the indigenous yeasts are regarded as almost a must do obligation. In other words: elaborating wines which express a purity, the faithful reflection of the soil and varietal character of the grape. Wines belonging to their soil. The contribution of Pilar Robles and Rocío Márquez to the winery, was recognised in 2014 and 2017 with the Great Diamond Prize of the International Wine and Women Competition (Salón del Gourmet “Gourmet Show”, Madrid), a competition which attempts to place true value to wines produced by wineries where women hold management positions or positions of responsibility. The creation of meeting points between the creative sector and the winery have also been key factors in the communication and promotion strategy designed by Juan Bolaños, our marketing manager. Since 2011 we carried out the Keep an eye on your vine initiative,a genuine immersion for anyone interested in learning firsthand organic wine production. In 2012 we developed the labotelladelvino (the wine bottle), a new packaging line which updates the tradition of selling bulk wine with a reusable package that combines considerable care in design, technology with which the wines are transported and preserved and the reduction of the carbon footprint. Please enable subtitles for English if they do not appear automatically. The Spanish Scientific Research Council (CSIC) visit to our vineyard, for the Vinedivers project which studies biodiversity-based ecosystems. Since we commenced on the road to a paradigm shift of the agrienvironmental model, we maintain an ongoing relationship with the University and various Spanish and international research groups, with which we have developed different studies geared towards the improvement of environmental policies in the winery and vineyard, studying their effects on the wine. It is becoming ever more evident in recent years the effects caused to vine crops and grape harvests due to climate change: increasingly earlier harvests, flowering losses, peaks of high and low temperatures, longer drought periods followed by heavy rainfall; plant temperature stress; ripening acceleration and lags; risks of pests and diseases which so far did not occur. As a result of our concerns as regards climate change and aware of the importance of the little actions we have been the first Spanish winery to certify our carbon footprint. In 2009, FHA Consultores and Det Norske Veritas (DNV) determined the greenhouse gases emissions totals generated in each of our production, processing and marketing stages. Our commitment is to reduce each year the carbon footprint uusing increasingly more environmentally efficient processes, reason why we work jointly with CO2 Consulting. 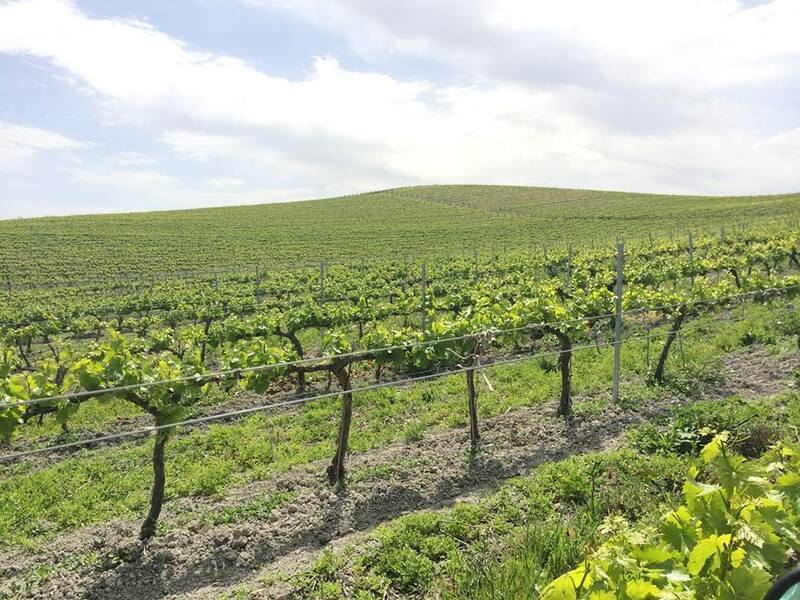 Our main aim is to obtain to the highest extent the expression of the soil and vineyard. Our work enables us to produce wines which smell and taste as they should smell and taste, the reflection of the soil and grape variety of the wine. In other words: wines belonging to their soil. And if the awards have something to say something on the matter, it seems that we have achieved that objective. Pedro Ximénez Selección de Robles 1927 has been selected as the fourth best wine in the world, according to the latest rankings released by the World Association of Journalists and Writers of Wines and Spirits (WAWWJ). This classification is drawn up from the results and scores obtained by the wines and wineries in the most prestigious international competitions and contests. 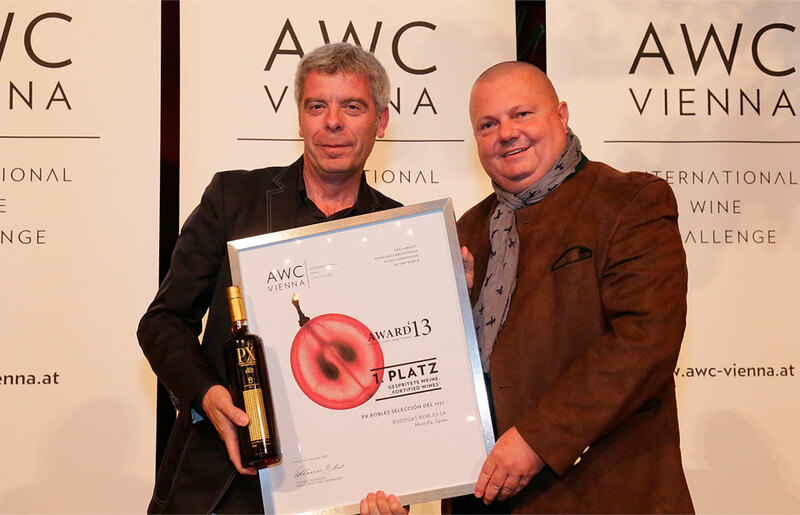 Pedro Ximénez 1927, selected as the best wine in its category at the International Wine Challenge (AWC) Vienna. Bodegas Robles was founded in 1927, the date in which our grandparents Antonio José and Pilar moved to this land in search of the best wine grapes. In this fashion, together they became intimately acquainted with the vineyards “la Toledana”, “el Canillo”, “Cabriñana” and “Cañada del Navarro”, located in the Sierra de Montilla and one of the best production areas. Without the vision of Antonio José and Pilar, the quality of the Bodegas Robles wines would not have been possible. However it takes more than great grapes to make great wines. A great winery is also required and that’s where the work of our father, Francisco Robles, has been instrumental: in 1975 the construction of the current facilities on the outskirts of Montilla was carried out and when it made its final relocation from its original location in the town centre. It was at this time when the winemaking at Bodegas Robles what it is today was defined: a place where contemporary technology and traditional techniques come together. In the late nineties, the third generation took over the reins of the winery. The siblings Pilar and Francisco Robles understand that, we are supporters of a return, rather than progress. In this fashion, it was decided that the principles of our grandparents must be upheld and the implementation thereof using the current best available. That is precisely what we found in organic farming. In 1999 we contacted the Andalusian Ecological Agriculture Committee (now Asociación Ecovalia (Ecovalia – Ecological Value Association)) commenced on the road to a paradigm shift of the agrienvironmental model. At that time, the training available in Spain was scarce and Francisco Robles moved to Poio (Galicia) to attend an organic viticulture training course organised by the Vida Sana Association, which has been working since 1981 on organic farming. Later on, he attended various advanced specialisation courses on Organic Farming in Seville. In 2001 was the moment to implement what has been learnt: the University of Cordoba oversees the research project in the winery and demonstrates that it is possible to implement organic viticulture in Montilla. Cultivating organic grapes with the greatest intensity and quality of flavours and aromas that we know, overseeing its natural process and conveying all that wealth of the fruit in the wine. In other words: we make wines belonging to their soil. Pilar Robles in the vineyard. Without realising it, it’s been over 15 years since we started on this new heading on the road. We wish to express our sincere thanks to all those persons and organisations which we have met during this time. We have felt very supported and have learnt a lot at your side. – Cheshire Cat, would you tell me, please which way I ought to go from here? – That depends a good deal on where you want to get to,” – said the Cat. – I don’t much care where … -said Alice. – Then it doesn’t matter which way you go,” – said the Cat. – … so long as I get ,” Alice added as an explanation. – Oh, you’re sure to do that,” said the Cat, if you only walk long enough.